Executive Team - Vertical Jobs, Inc.
﻿ In 2006, Ms. Crossman acquired Vertical Jobs, Inc., a company that focuses on providing role playing services to the federal government. With this acquisition, Ms. Crossman oversees businesses that serves both the public and private sector. Throughout Ms. Crossman’s career, her greatest project successes have been based on her practical and committed approach to project management. She has managed software teams in developing systems that include patient tracking and reporting, budgeting and finance, and web transaction portals for both commercial and government entities. Her volunteer efforts include co-founding the NVTC Anti-Establishment Awards (now known as the Hot Ticket Awards), and co-founding MindShare (a unique program for Emerging Technology CEOs). In 1998, Anne was named Bloomingdale’s Woman of the Year and in 2004, she was a Heroines in Technology finalist. She currently sits on the board of the Fairfax Chamber of Commerce, and has previously served on the Boards of The Women’s Center, The Leukemia and Lymphoma Society, The Northern Virginia Technology Council and the Metropolitan Washington Airports Authority. She is a recognized speaker on the topics of completing software projects. Ms. Crossman was also Head Revolutionary of Completed Systems, Inc., a groundbreaking software development company she founded in 1996. Previous to that, Ms. Crossman spent 15 years of working at all levels within technology organizations to include President of Davison Associates. Throughout her career, she has focused on improving the development and delivery of software systems. 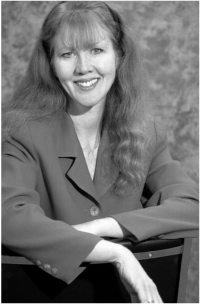 Ms. Crossman is a graduate of Catholic University and began her career in information technology in 1981.